Coll de Rates is THE climb that everyone, from cyclists to car journeys, do when visiting the Costa Blance. It is by no means the steepest or the longest climb in the region, but for one reason or another the ascent from Parcent has near mythical status. 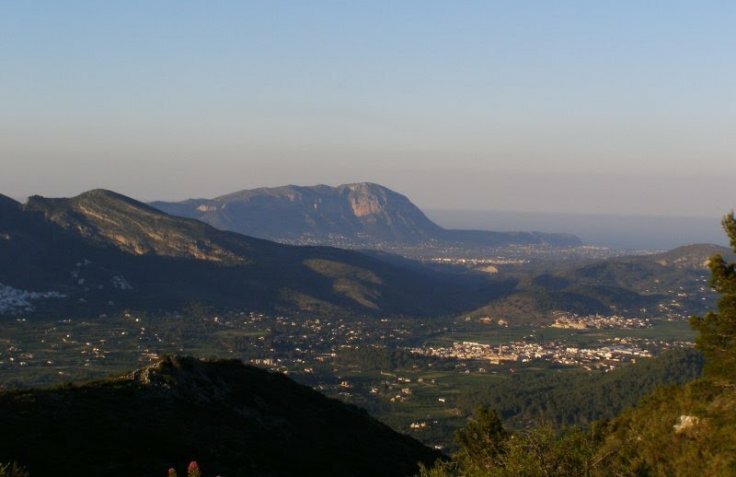 Coll de Rates is not difficult to find, once at Parcent head south and follow the CV-715 direction Tarbena and Callosa. You will be faced with a straight road leading straight into the mountain. After the initial drag, the real climbing begins with a long and gentle right turn before the road starts twisting and turning higher and higher up the climb, in what seems to be a constant succession of corners and hairpin bends. There is hardly a straight bit of road in the first 4km. Then all of a sudden, after a beautiful left U-turn comes the hardest part of Coll de Rates. The road straightens, leaving the mountain on your right and absolutely stunning views on your left, which may make you want to slow down just to enjoy them a while longer. In the distance you can see exactly where you need to go and it doesn’t look near at all. Luckily, there is a restaurant at the top where you can recharge your batteries and let the moment sink in. If there is ever a climb you enjoy more the higher up you cycle, then that has to be Coll de Rates.